anyone from here uses some of the b&o play series? want to use it mainly via airplay and some ipad for the living room. seenmy wrote: If there is another thread for this,my apologies. I am an audio noob, wanted to get some advice on options when buying vintage speakers,what i need to also get to link them to my tv/laptop etc, roughly how easy it is to do. I'd get your parents to buy you a McIntosh system & JBL speakers. Personally I'm partial to old Sony ES stuff but I don't want your parents money to distort the market. Also seriously, McIntosh and JBL are very very good. 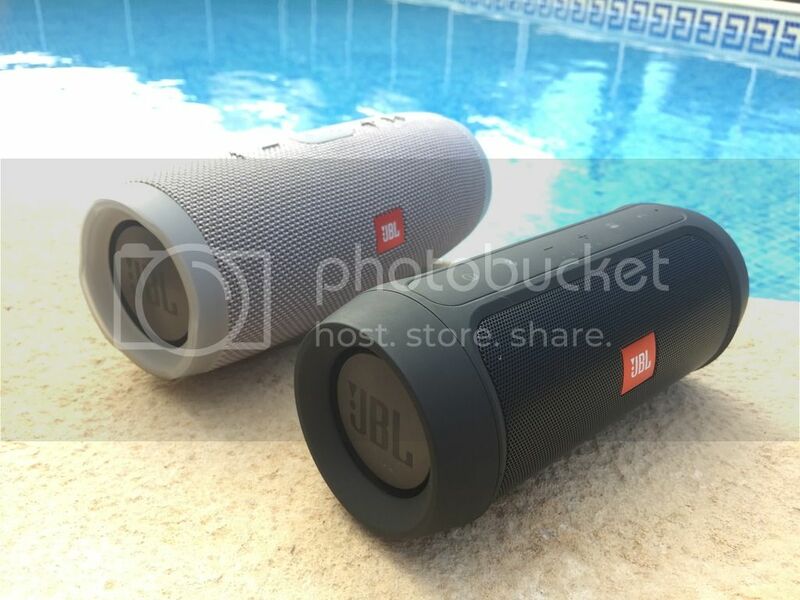 Can anyone comment on the quality of JBL Go portable speakers? Need something for a two week hotel room. JBL Charge 2 or 3 worth a look, quality sound way better than what you'd expect for something that size. Got both on hols at the moment. Can get a refurb Charge 3 direct from JBL through topcashback for just over half rrp. YLAup wrote: Can anyone comment on the quality of JBL Go portable speakers? Need something for a two week hotel room. I've had one for a coupla years that I just chuck in a bag when I go away - pretty much bomb proof and good value for just over a score. anyone got a sonos/alexa code they dont want? Been put in charge of sorting the music out for my mums 60th, it’s an outdoor/gazebo type affair and I need a speaker that’s going to do the job. I’ve got a couple of sonos speakers which would probably be fine but the WiFi won’t reach to where we will be. Might be worth hiring something decent. Depending on what Sonos you've got, buy a few long ethernet cables, connect one speaker to router and run them all on SonosNet. As long as one speaker's cabled to the router, the other speakers will connect to the cabled one and create their own network. Well it’s gonna be in the garden and it’s a fairly big space, it’s only a 60th so it’s mainly going to be background noise but don’t want it to be too quiet we need to turn it up a bit. Running a wire for the sonos isn’t really feasible for where it would need to get to.